This isn’t new however, it’s important to highlight this notice given that many folks are still deploying Office 2016 Professional Plus. Office Perpetual is the “.MSI” installable version of the product that does not get updated with features in the same way that Office 365 ProPlus does. 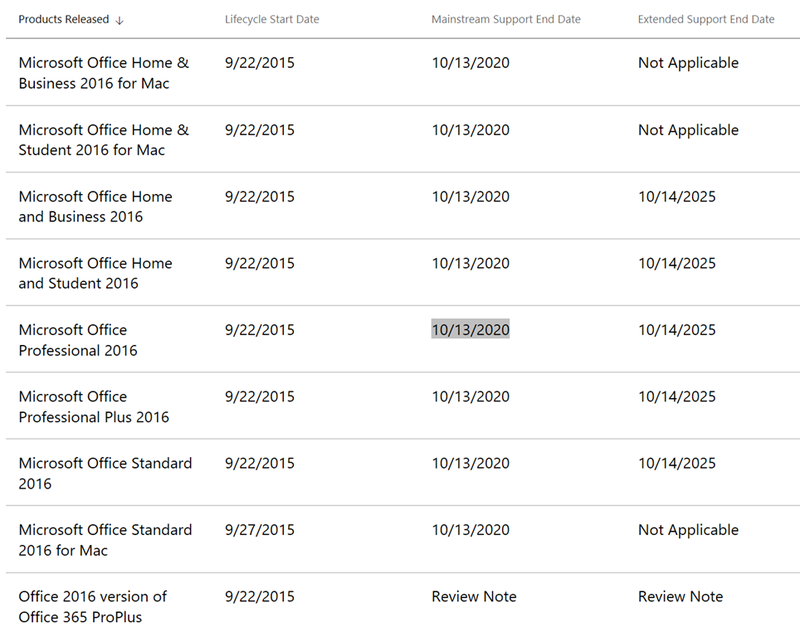 Office 2016 Professional Plus’ support for usage against Exchange Online/SharePoint Online implementations ends, per the Microsoft lifecycle site on 10/13/2020 – so folks will need to have transitioned off of Office 2016 Professional Plus by that date (to Office 365 ProPlus or Office 2019 Professional Plus), if they want to continue to use Exchange Online/SharePoint Online, etc. in a supported manner.